Unfortunately the manufacturer of this product prohibits us from shipping it to the United States. 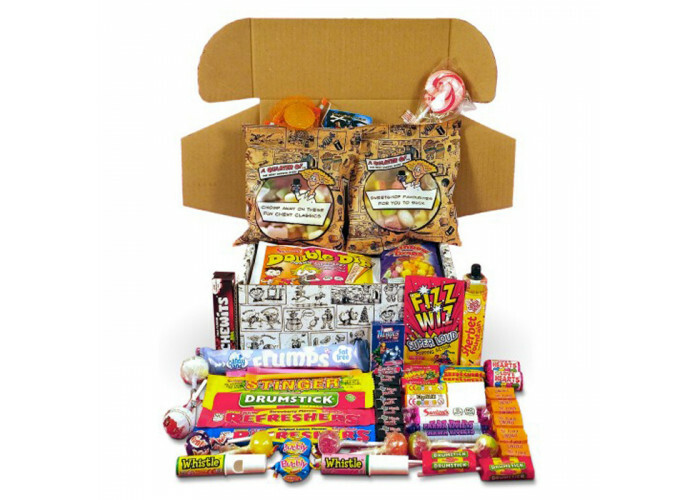 Our bestselling Cartoony Box Of Retro Sweets is crammed full of the most nostalgic and popular sweets they ever made, from Blackjacks and Fruit Salads to Parma Violets and Love Hearts, Anglo Bubbly Bubblegum and refresher Chews to Drumstick Lollies and Candy Whistles. Plus a Sherbet Fountain (the one with the liquorice to dip in the sherbet). And a 250g bag of penny mix classics like shrimps and cola bottles. And a 250g bag of the most delicious boiled sweets (include our "Best You've Ever Tasted... GUARANTEED" Rhubarb and Custard, Kola Kubes, Pineapple Chunks and Strawberries and Cream). 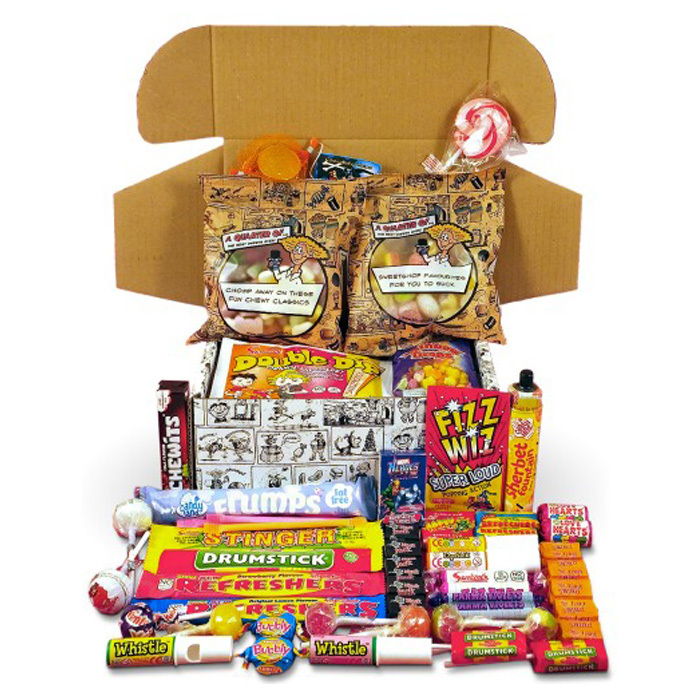 And now the best retro sweets selection is better than ever... because you can personalise it for the perfect gift.